NoiseTrade has been on fire the past few weeks with exclusive EPs from some of our favorite artists. 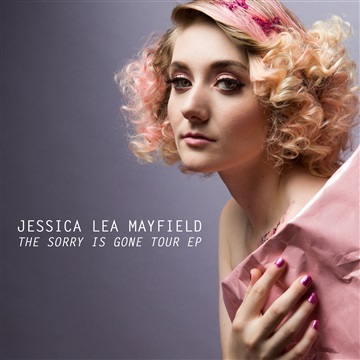 This week they did it again with The Sorry is Gone Tour EP from Jessica Lea Mayfield. Mayfield is about to embark on a tour that was postponed due to a car accident she was recovering from, and to celebrate she's giving away a four song EP exclusively through NoiseTrade. It contains two songs from her recently released album, Sorry is Gone, which will be a contender for us when it comes to best album of 2017. There's also "Feeling Oppressed," which is a b-side exclusive to this release, and a live solo version of the song "Sorry is Gone." Twenty years ago we used to pay $10-$20 for b-sides like these, and now they're just given away. You can get your copy of The Sorry is Gone Tour EP for free over at NoiseTrade. For more on Jessica Lea Mayfield, check out her website. The dates for her current tour are below. Let's just hope for a rescheduled Boston date.